Per instructions at raspberrypi.org with some modification to make it easier to follow and for localisation. Install the most recent raspbian disk image onto a microSD card using Disk Imager or similar. Create a new file on the microSD card called ssh. I simply right click on the folder and go 'Create new text document'. 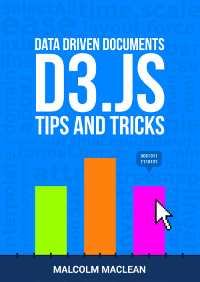 The file will have the suffix .txt, but this won't matter. This allows ssh to be enabled on first boot. Unmount the microSD card and put it into the Pi. Have the Pi connected to a monitor so that you can see what the IP address is when it finishes booting. Alternatively, check the connected devices on a router page. Turn the power on. The automatic re-sizing will be carried out and the IP address will be shown. Start WinSCP. Use the IP address, port 22, the username pi and the password raspberry to connect. You will be warned about a potential security breach because the host key won't match the one that WinSCP has in its cache. This is fine. Just press the 'Update' button to continue. To use the Raspberry Pi as an bridged access point is to provide wireless connections to a wired Ethernet connection, so that anyone logged into the access point can access the internet, providing of course that the wired Ethernet on the Pi can connect to the internet via some sort of router. To do this, a 'bridge' needs to put in place between the wireless device and the Ethernet device on the access point Raspberry Pi. This bridge will pass all traffic between the two interfaces. Install the following packages to enable the access point setup and bridging. Bridging creates a higher-level construct over the two ports being bridged. It is the bridge that is the network device, so we need to stop the eth0 and wlan0 ports being allocated IP addresses by the DHCP client on the Raspberry Pi. Add denyinterfaces wlan0 and denyinterfaces eth0 to the end of the file (but above any other added interface lines) and save the file. Add a new bridge, which in this case is called br0. Connect the network ports. In this case, connect eth0 to the bridge br0. Now the interfaces file needs to be edited to adjust the various devices to work with bridging. 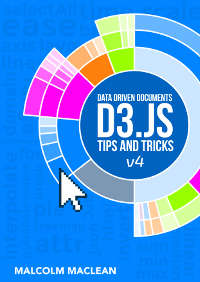 Make the following edits by adding the bridging information at the end of the file. You need to edit the hostapd configuration file, located at /etc/hostapd/hostapd.conf, to add the various parameters for your wireless network. After initial install, this will be a new/empty file. We now need to tell the system where to find this configuration file. There should now be a functioning bridge between the wireless LAN and the Ethernet connection on the Raspberry Pi, and any device associated with the Raspberry Pi access point will act as if it is connected to the access point's wired Ethernet. The ifconfig command will show the bridge, which will have been allocated an IP address via the wired Ethernet's DHCP server. The wlan0 and eth0 no longer have IP addresses, as they are now controlled by the bridge. It is possible to use a static IP address for the bridge if required, but generally, if the Raspberry Pi access point is connected to a ADSL router, the DHCP address will be fine. 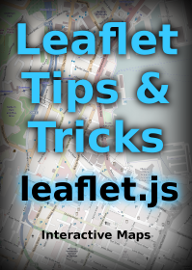 This post is part of the book Raspberry Pi Computing: Temperature Measurement which can be downloaded from Leanpub for free (or donate if you wish). 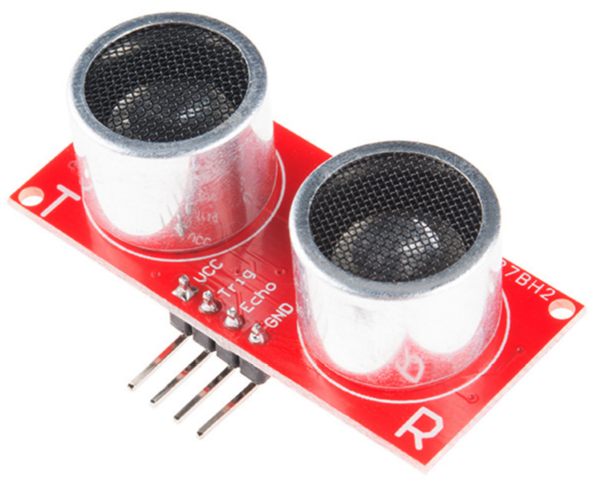 This project will measure the temperature at multiple points using DS18B20 sensors. We will use the waterproof version of the sensors since they are more practical for external applications. 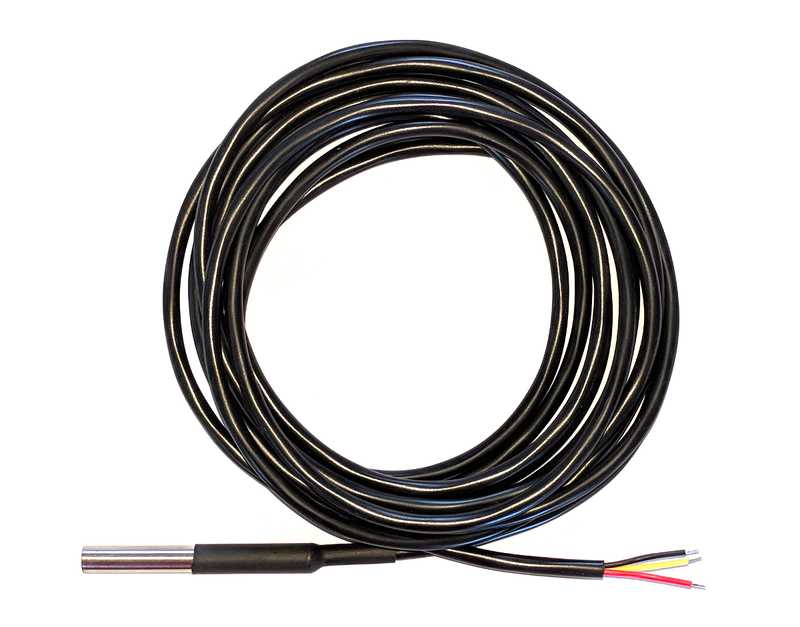 The DS18B20 is a ‘1-Wire’ digital temperature sensor manufactured by Maxim Integrated Products Inc. 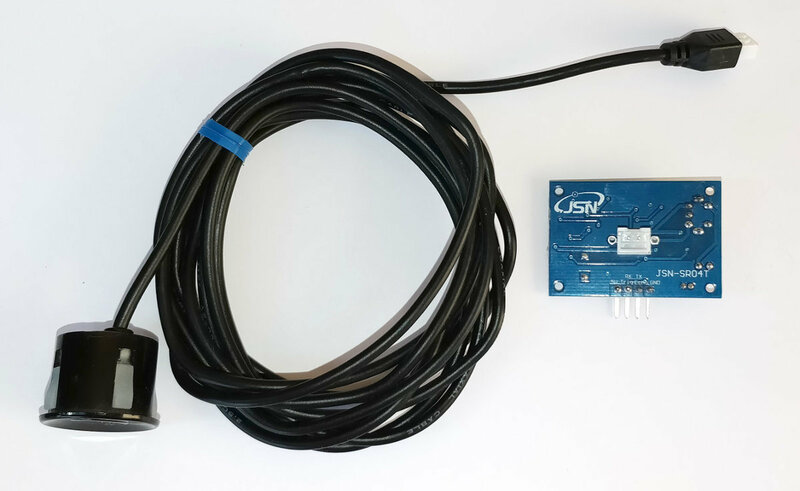 It provides a 9-bit to 12-bit precision, Celsius temperature measurement and incorporates an alarm function with user-programmable upper and lower trigger points. Its temperature range is between -55C to 125C and they are accurate to +/- 0.5C between -10C and +85C. It is called a ‘1-Wire’ device as it can operate over a single wire bus thanks to each sensor having a unique 64-bit serial code that can identify each device. While the DS18B20 comes in a TO-92 package, it is also available in a waterproof, stainless steel package that is pre-wired and therefore slightly easier to use in conditions that require a degree of protection. The measurement project that we will undertake will use the waterproof version. The sensors can come with a couple of different wire colour combinations. They will typically have a black wire that needs to be connected to ground. A red wire that should be connected to a voltage source (in our case a 3.3V pin from the Pi) and a blue or yellow wire that carries the signal. The DS18B20 can be powered from the signal line, but in our project we will use an external voltage supply (from the Pi). The DS18B20 sensors needs to be connected with the black wires to ground, the red wires to the 3V3 pin and the blue or yellow (some sensors have blue and some have yellow) wires to the GPIO4 pin. A resistor between the value of 4.7k Ohms to 10k Ohms needs to be connected between the 3V3 and GPIO4 pins to act as a ‘pull-up’ resistor. Connecting the sensor practically can be achieved in a number of ways. You could use a Pi Cobbler break out connector mounted on a bread board connected to the GPIO pins. 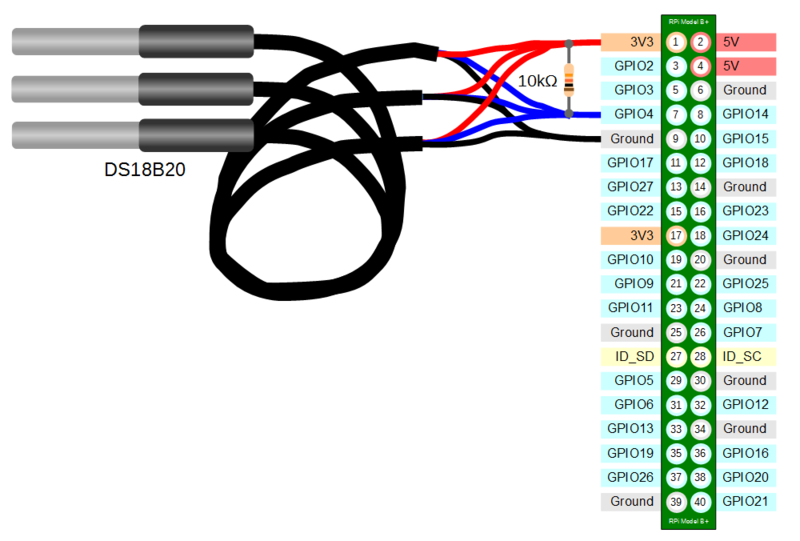 But because the connection is relatively simple we could build a minimal configuration that will plug directly onto the appropriate GPIO pins using Dupont connectors. The resister is concealed under the heat-shrink and indicated with the arrow. This version uses a recovered header connector from a computers internal USB cable. Then select the 1-wire option and enable it. When you back out of the menu you will be asked to reboot the device. Do this and then log in again. Because the Raspberry Pi acts like an embedded platform rather than a regular PC, it doesn’t have a BIOS (Basic Input Output System) that goes through the various pieces of hardware when the Pi boots up and configures everything. Instead it has an optional text file named config.txt. This can be found in the /boot directory. To enable the Pi to use the GPIO pin to communicate with our temperature sensor we need to tell it to configure itself with the w1-gpio Onewire interface module. The configuration changes edits this file and adds dtoverlay=w1-gpio to the file. modprobe w1-gpio registers the new sensors connected to GPIO4 so that now the Raspberry Pi knows that there is a 1-Wire device connected to the GPIO connector (For more information on the modprobe command check out the details here). This should list out the contents of the /sys/bus/w1/devices which should include a number of directories starting 28-. The number of directories should match the number of connected sensors. The portion of the name following the 28- is the unique serial number of each of the sensors. The cat program takes the specified file (or files) and by default outputs the results to the screen (there are a multitude of different options for cat, more can be seen in the references). For more info on using the Raspberry Pi or for a range of other free to download books (there are no catches) check out the list here. 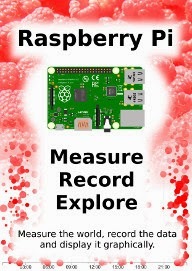 This post is part of the book Raspberry Pi Computing: Ultrasonic Distance Measurement which can be downloaded from Leanpub for free (or donate if you wish). Pin 6 Connects directly to the GND connector, but is incorporated into the voltage divider for the Echo pin. Pin 10 connects directly to the Trig connector.